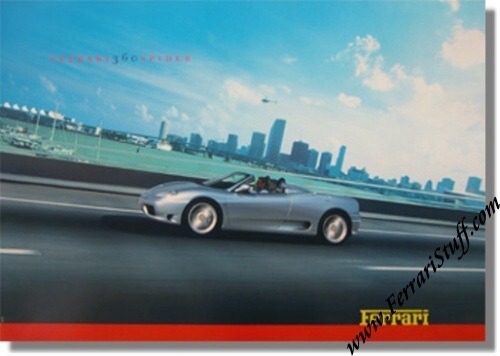 Ferrari factory original 2000 Ferrari 360 Modena Spyder Poster. A truly beautiful (and LARGE!) poster that is not done justice by the somewhat blurry image shown here. It measures approximately 100 x 70 cm or 39.5 x 27 inches. Ferrari Print Number 1606/00 issued in 2000. Will be shipped in a sturdy tube.